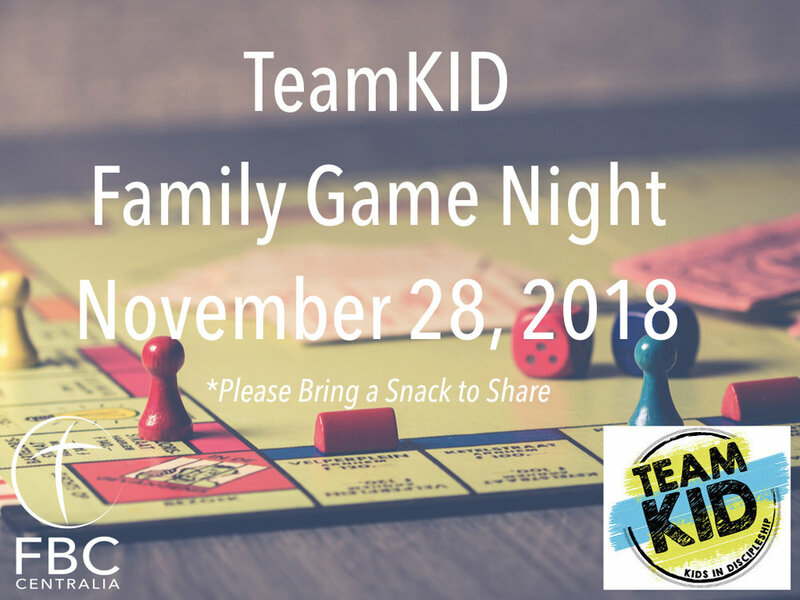 This week's TeamKID is a family event! Please join us for game night and bring a snack to share. See you Wednesday!